Against the will of her strict, overly traditional father, a young Hispanic woman has aspirations to be an aviator and engineer like her deceased mother. Nerris is a filmmaker with a passion for finding ways to use the power of film and storytelling to give a voice to people. Frequently inspired by his mixed Hispanic and Middle Eastern upbringing, his stories frequently center around ethnic cultures and challenging old traditions. 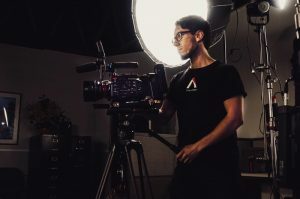 Nassiri is currently the host and creative producer for Aputure, an online platform providing free filmmaking education to creators worldwide. In total, this platform has a social media following of over 200,000. Prior, he spent a year producing short films and documentaries for The Mighty, an online publication that raises awareness about mental health and rare disease; these films have been viewed 250,000,000 times online and have screened at various film festivals related to health and wellness. He regularly films for Walt Disney Imagineering and Blue Iris Cinema, and hopes to continue creating and telling stories. 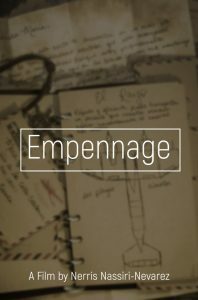 The story of Empennage is a love letter to both aviation and to the powerful Hispanic women who raised me. Many people often forget that there is a second pair of tiny wings at the tail of all aircraft, yet these small wings are perhaps the most important component to an aircraft’s ability to safely stay in the air. The tail of an airplane is called the empennage, and it provides stability for the rest of the plane. I’ve always found this to be an beautifully compelling metaphor: the smallest and least noticeable part provides the most stability. The character Maria is very much like an empennage: told to keep quiet, stay small, and remain in the back. Despite all of this, she provides stability and strength to the rest of her family. This film is dedicated to the empennages of the world, who frequently go unnoticed despite all that they do for others. It is my hope that we can bring more women into the many workforces that are frequently male-dominant, like aviation and engineering, and it is my hope that this film can be a small but powerful voice for them.